Katy Zatsick, Sun City Center,FL co-presides for Mary Mother of Jesus Inclusive Catholic Community in Sarasota and monthly in Sun City Center. 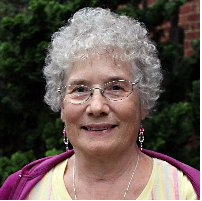 Katy is an environmentalist, a member of AlAnon available for 12 Step Program spiritual companioning and available for sacramental and memorial services. She is a mother of two and grandmother of three. She has served on the Board of Women’s Ordination Conference and the non-profit board of ARCWP as Treasurer. Katy was ordained a priest in February 2010.